'The Power of a Positive Mom' by Karol Ladd ... this is a brilliant book! 'How to Really Love Your Child" by D. Ross Campbell, M.D. 'Heart Focus Parenting' by Belinda Letchford ... this is a 'magazine' style layout, for quick and easy reading in small chunks of time ... very, very good. 'His Needs, Her Needs for Parents' by Willard F. Harley, Jr.
'A Mom After God's Own Heart' by Elizabeth George ... she is one of my favourite authors, very biblically based and positive! I hope you enjoy these books if you purchase them, one day I'll do a post on the parenting/mothering books on my kindle for you too. Have you read any of these? Did you enjoy them? 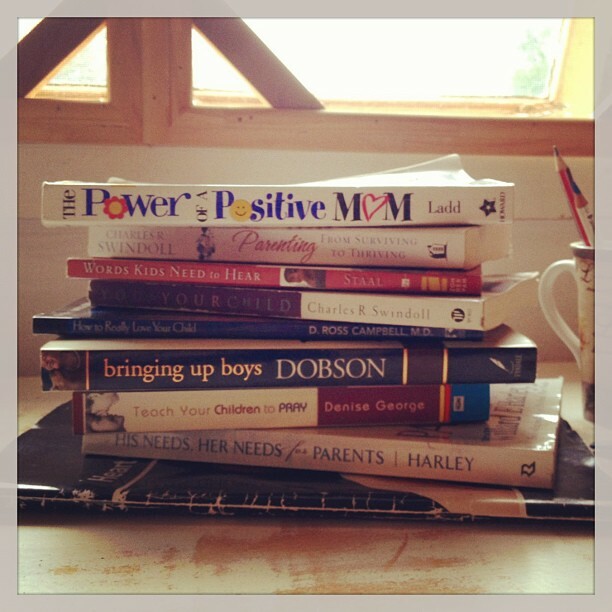 What are some of your favourite parenting books?